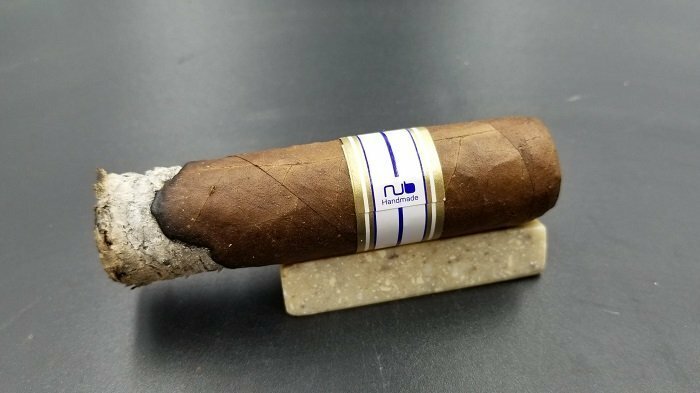 The wrapper is medium brown and has a couple of decent sized veins present that carry a lighter color but they are pressed smooth. 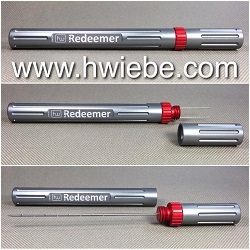 The seams are smooth and only really visible due to vein placement. The head is finished off with a well applied double cap. The band carries the traditional design for the brand with a white, gold and blue color combination for the Cameroon offering which is spelled out. The aroma from the wrapper is a mix of sweet cedar and hay with some barnyard funk in the background. The foot brings wood and black pepper. The pre-light draw brings wood and raisin with a very mild spiciness on my tongue and lips. 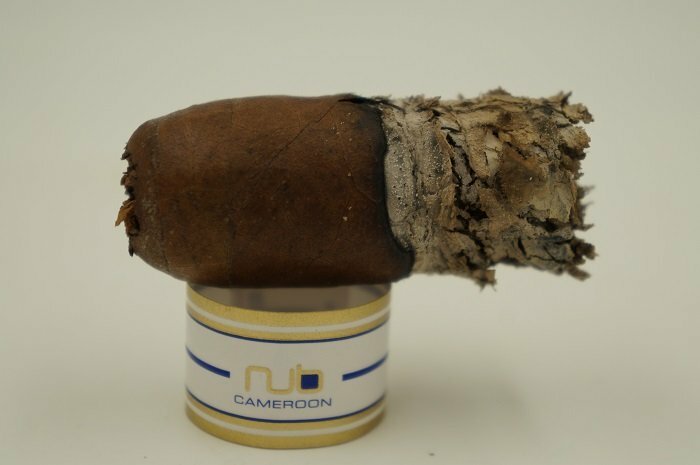 The Nub Cameroon 460 is a familiar porky 4×60 looking cigar. 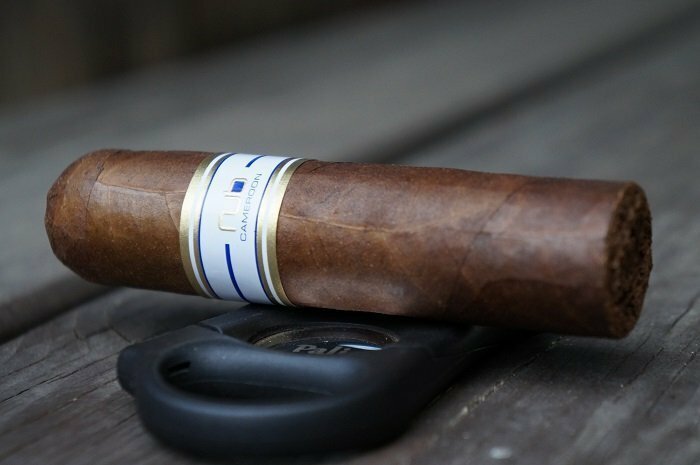 The Cameroon wrapper is fairly rich and thick, providing a lightly roasted coffee bean brown. Veins are well pressed, seams tight, bunch and roll even and head finished off with a thick layered cap. Aromas from the wrapper give rich cedar, hay and some dank barnyard. Aromas from the foot tell spicy cedar and sweet raisins. Cold draw gives cedar, hay and a hint of sweet raisins. 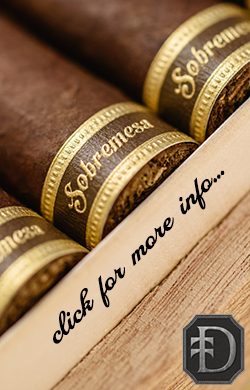 The cigar begins with a peppery cedar and a mixture of equal amounts of cream and mustiness. At a quarter inch in, the pepper and cream both move to the background while the cedar and mustiness are up front. At three quarters of an inch in, the cedar is up front with the mustiness slightly behind. The pepper and cream are still in the background. The retrohale has a blast of pepper up front with the musty cedar right behind it. The flavor profile maintains itself through the end of the third. The strength was slightly below medium. 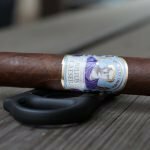 The first third creates a flavor profile that definitely has range but isn’t entirely cohesive. 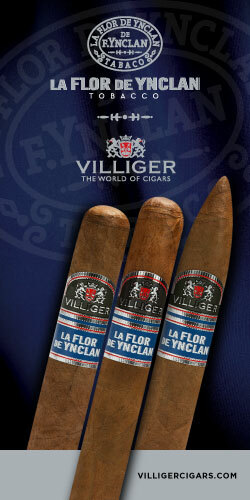 Flavors of cardboard, black pepper spice, generic sweetness and lightly charred wood. 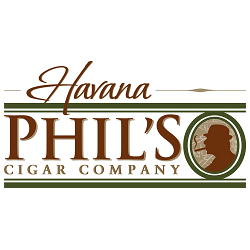 Retrohaling gives pronounced notes of black pepper and charred wood. 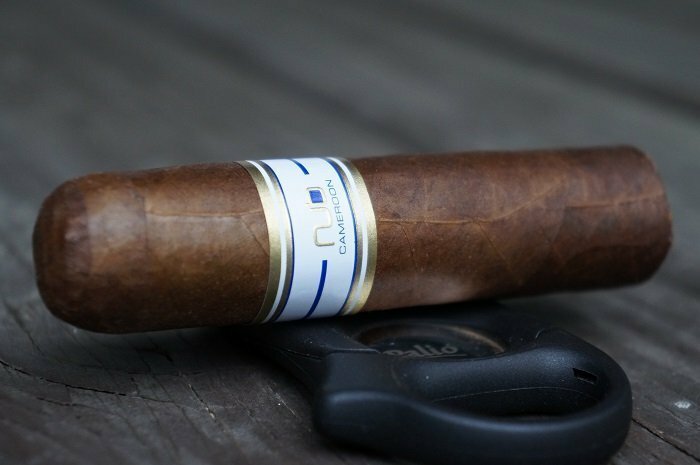 The finish is very earthy with charred wood, nuts and a black pepper spice. Strength and body are medium. As the second third begins, the cedar remains up front with the mustiness slightly behind. There is still some pepper in the background while the cream has dropped out. At a half inch in, a faint cream returns. The retrohale now has the musty cedar up front with the black pepper following it. As the third comes to a close, the cedar and mustiness are even up front while the pepper is in the background and the cream has dropped out again. The strength in this third bumped up to medium. The second third is essentially a continuation of the first third. 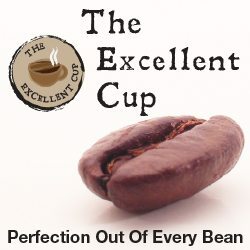 Still a medium bodied and strength profile of fairly in-cohesive flavors centered around cardboard, black pepper spice, generic sweetness and lightly charred wood. As the final third begins, the mustiness has taken the lead over the cedar while some black pepper remains in the background. 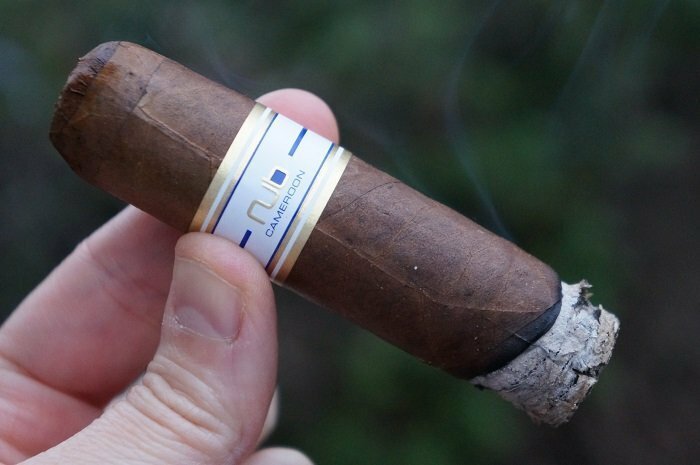 At a quarter inch in, the cedar transitions to a general wood note and gains some char. At three quarters of an inch in, the retrohale has a slightly green wood to go along with the mustiness. The strength in this third remained at medium. Interestingly enough, it’s the final third where the profile finally shows some cohesiveness. Further, the flavors taste less cardboard/burning paper like (thankfully). Still getting black pepper, generic sweetness and lightly charred wood. Strength and body finishes medium. The burn was a bit wavy throughout but never required any attention. The ash held on for about two and a half inches and then held on the rest of the way. Burn was overall very good less a couple minor touch-ups required to even up some unburnt wrapper. 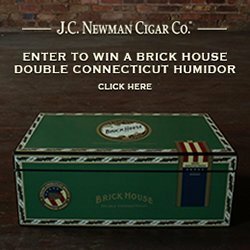 Rock solid ash marks, cool burn, great smoke production and fairly even burn. 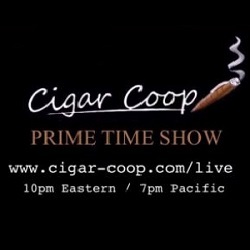 The cigar began with peppery cedar and a mix of cream and mustiness. As it progressed, the cream dropped out and the cedar and mustiness were paired up while the pepper was in the background. Construction was very good and strength was right around medium. 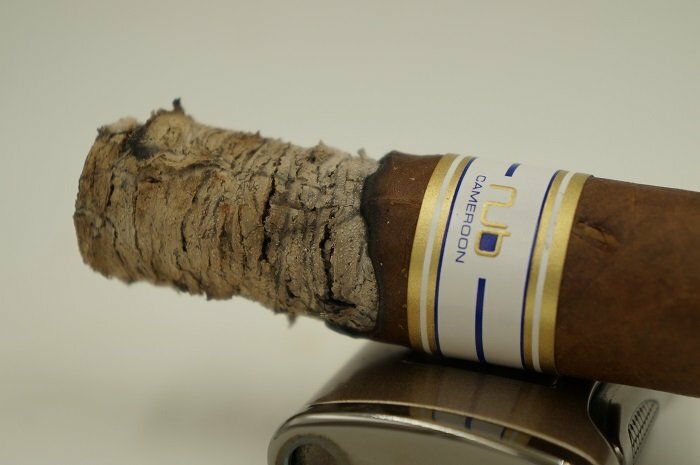 I’ve always enjoyed the various Nub offerings and found them to be quite good in balance and this experience was no different. 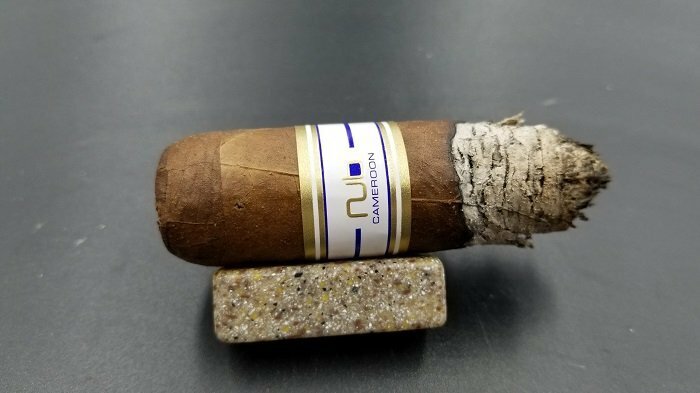 The Nub Cameroon 460 is a nice cigar to smoke at any time and they are pretty rugged if you’re smoking while doing other things. 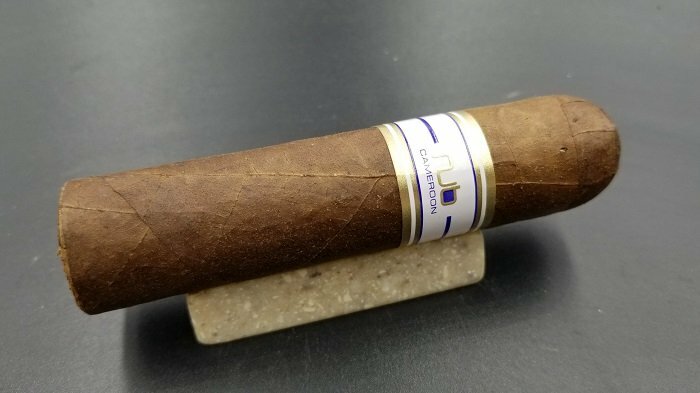 While I wouldn’t identify this as a go to cigar for me, it’s one I keep coming back to on occasion and would suggest you try it out if you haven’t done so already. The draw was perfect. No issues. 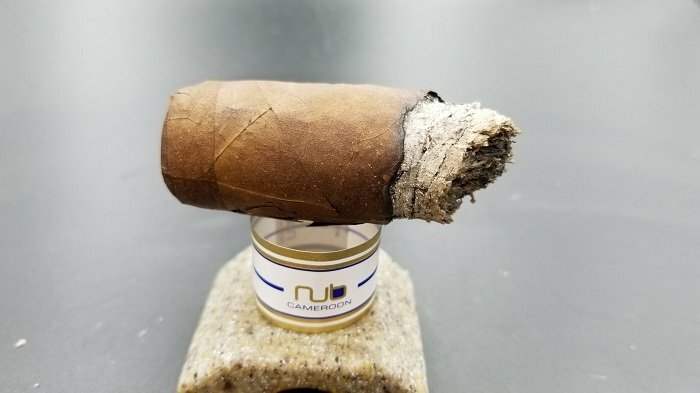 It’s been ages (5 to 6 years) since I’ve smoked a Nub or quite frankly thought about them. With that said, I was actually looking forward to what I would think about this old timer. To find out, there really isn’t anything bad nor great to say about it. 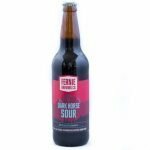 It’s overall a fairly unstructured flavor profile of cardboard, black pepper, general sweetness and lightly charred wood. And to be frank, it’s not the greatest representation of Cameroon wrappers. 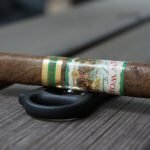 It’s not a bad cigar, just an average cigar in which I can completely understand how especially newer cigar cigars will enjoy its straight forward flavors giving good range, very easy to smoke in the sense that the large ring gauge with more frequent and harder pulls will not over heat and burn beautifully. 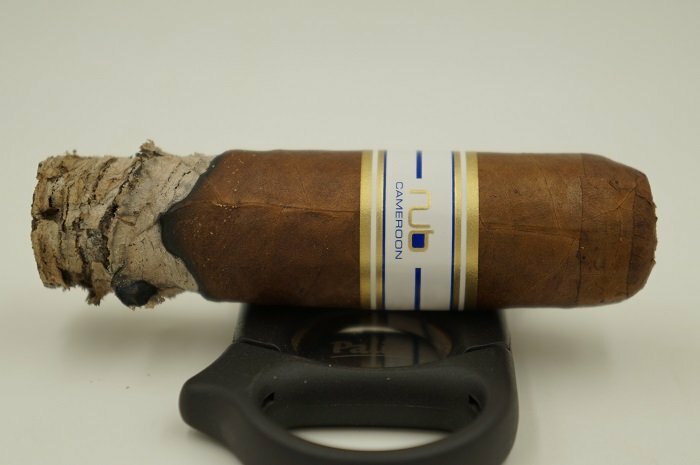 If you’d like to purchase a Nub sampler that contains the Cameroon offering, you can get it from Holt’s here.